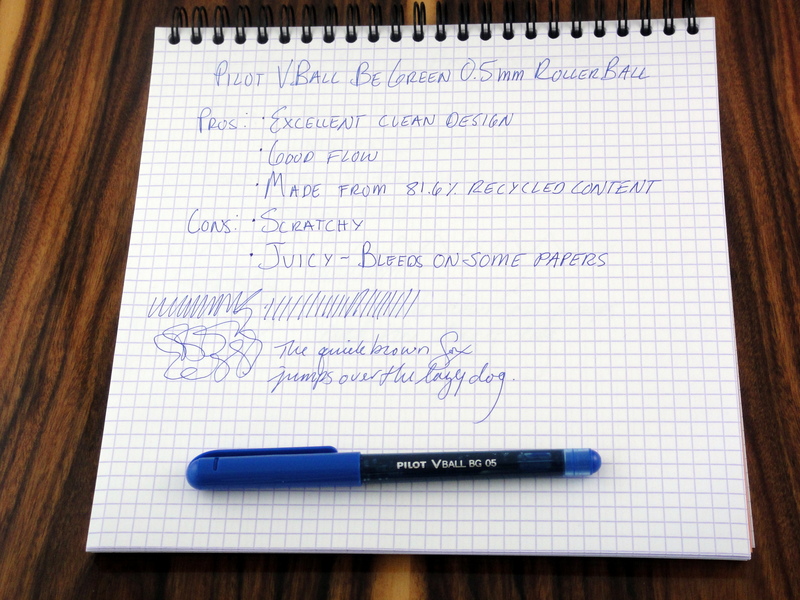 The Pilot VBall BeGreen is a roller ball pen with a body made from “81.6% recycled content”. First off, this isn’t the VBall I remember enjoying years ago; the design is much better but the pen as a whole is worse. 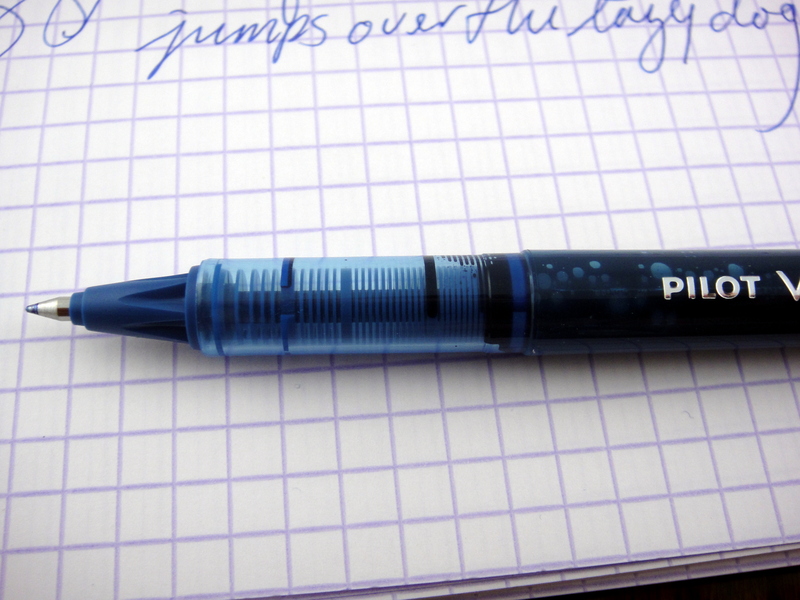 I really love the clean and elegant design of this pen; the inset metallic branding and the blue plastic cap combined with the translucent body and feed are excellent. For a disposable pen the VBall BeGreen gets an A+ in design. As for writing, the VBall is quite scratchy. I compared it to the Uni Ball Micro Deluxe (another traditional liquid ink roller ball) and the difference was night and day. The Uni glided across the paper with more ease and left a cleaner line on the page. As I spent more time with the Vball I noticed that some parts of the tip were smoother than others; by twisting I could find both smooth and scratchy parts of the tip which makes me think I may have gotten a bad one. I haven’t come across many duds that were made by Pilot in Japan but this might be one.